Camping Regio är en camping i Santa Marta de Tormes, Salamanca. Campingen har platser med stängsel, med skugga och platser med lite skugga. Det finns möjlighet att hyra bungalows. På campingen finns en lekplats och ett sportområde. Denna inspektör gör varje år ett besök på Camping Regio och inspekterar campingen för ca 200 faciliteter och för andra förekommande punkter. Inspektören är en medarbetare från ACSI och arbetar inte för campingen. Very friendly site the lady in the cafe on the campsite was lovely very welcoming and friendly we had a pizza and our breakfast there very nice. The site is within walking distance to the town and a regular bus service to Salamanca from the campsite. Salamanca is definitely worth a visit it is busy but everyone we met took time to chat and was very friendly Northern Spain is the best. We have stayed here 4 times over 10 years or so, which endorses our opinion of this site. Excellent reception in the Hotel. Restaurant is good but wine is pricey. The site is relaxed and well maintained. They pollarded the trees in 2017 so currently not much shade. Hourly bus to Salamanca from Hotel. Excellent cycle routes to and from the City. This is an ideal site to visit Salamanca. There is a regular bus from the hotel car park to the city centre. The site is large and on a slope behind the hotel.. The campsite reception is also the hotel reception, so go there first. The facilities are tired but clean and at the top of the site. It can be a long walk with a full cassette! There is a shop and cafeteria /bar at the bottom of the site. at the entrance. The shop is quite well stocked and bread is available. There is a special \"camper\" menu in the hotel but we did not try it. There are restaurants, a fish shop and small supermarket within walking distance of the site. For a visit to the city, this site is ideal The site is on a main road and access is .good. For UK motor homes beware of the hook -ups as the polarity is reversed and cannot be corrected. Being attached to a large hotel the site is bit impersonal . Reasonable site and easy to find. Facilities are quite good but the pitches are rather scruffy. We booked in at the neighbouring hotel where the receptionist was both friendly and helpful. Credit cards are accepted. The site is very convenient for visiting Salamanca as the bus stops right outside the entance. Salamanca itself is an attractive bustling city and well worth a visit. One fault, which was also common to several other sites we visited in Spain was the lack of clearly labelled drinking taps. We only stopped one night on our way north to the ferry and would certainly do so again. Intended to stay for a couple of days and ended up staying for 17 nights. Everything we need of a good campsite is here, separate male and female toilets, well maintained pitches, good onsite shop, fantastic swimming pools and Lidl less than 5 minutes drive away. Bus to Salamanca 3 Euro return. The city itself is glorious and a pleasure to explore. Maps/information leaflets in different languages are available at Plaza Mayor tourist info with details of free entry days for all the mayor sites. Would gladly go back. Staff at Hotel reception spoke perfect English and were very very helpful. Please note the power source is the 2 prong type. On arrival this site did not look much tucked behind a hotel, we had to book in at the hotel reception, the lady there was very helpful giving all the information you need. Toilet/shower facilities clean and good although in the gents some work was being carried out so hence the down grade, you also get a special price in the cafeteria as an asci user worth approx. €4.00 per meal. There is a choice of about 8 meals at the special price, and I would highly recommend you try, we ordered the first item on the list and this is what we had on each of our plates: 2 pork loins with a bacon omelette and chips with a small baguette type roll, needless to say it didn't all get eaten, not bad for €8.50 each. The bus stops in the hotel car park this takes you into the town centre. Also you can walk or cycle to the local shops 5mins by bike, disabled facilities good, we would use this site again. Stayed again at this campsite en route to North. A very handy stop over. The hotel is open late, good meals, very handy for Salamanca as bus stops outside. Supermarkets nearby and local restaurants. Staff are nice and helpful. Will definately use as a regular stop over, appears to be a safe site with barrier. Heated washrooms, clean. Handy for Salamanca. Swimming pool closed, very disappointing as it was our main reason for visiting. Big pitches, restaurant OK but prices of wine, beer expensive. Would use again as a stop over. Nice area to visit. Would have stayed longer if pool had been open. Peaceful environment. Trees and lots of birds. Vill du boka Camping Regio eller få mera information? Det går bra med nedanstående uppgifter. 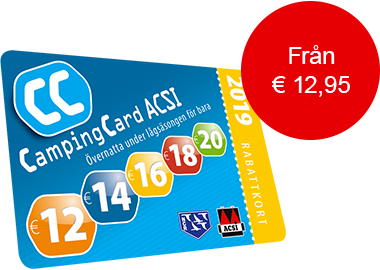 ACSI Eurocampings skickar din informationsförfrågan till "Camping Regio".